I found inexpensive lunch spot ! 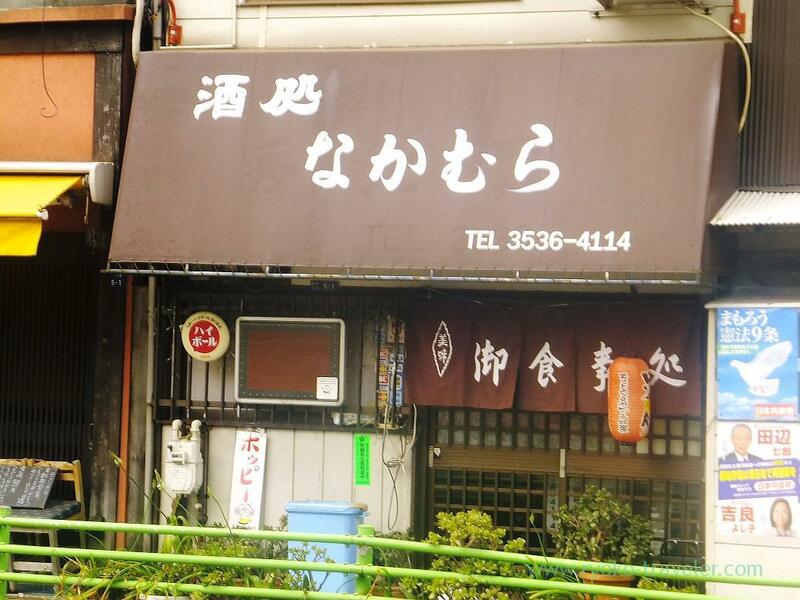 I found that an izakaya in front of Kachidoki subway station has started to open their shop at lunchtime. 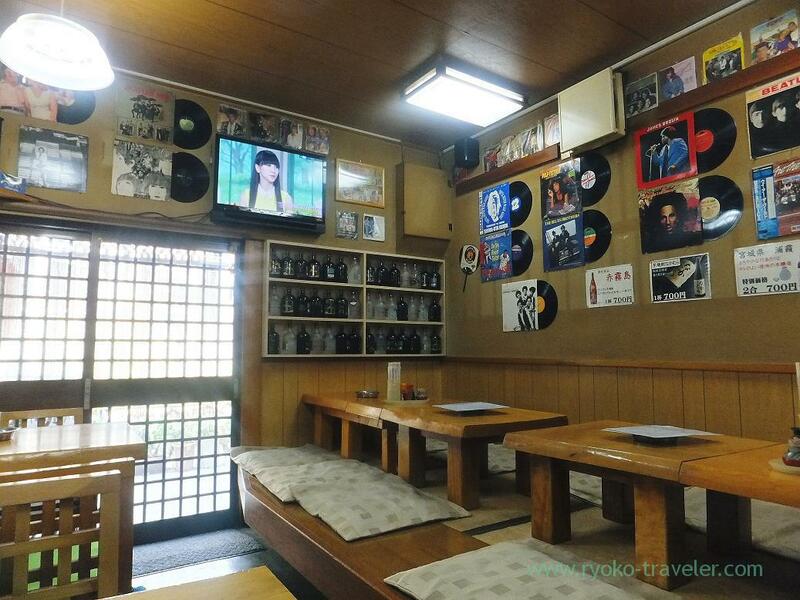 So, I went to there over 1 p.m.
From its appearance, it seems plain izakaya, but lots of records are on the wall. The owner’s hobby ? 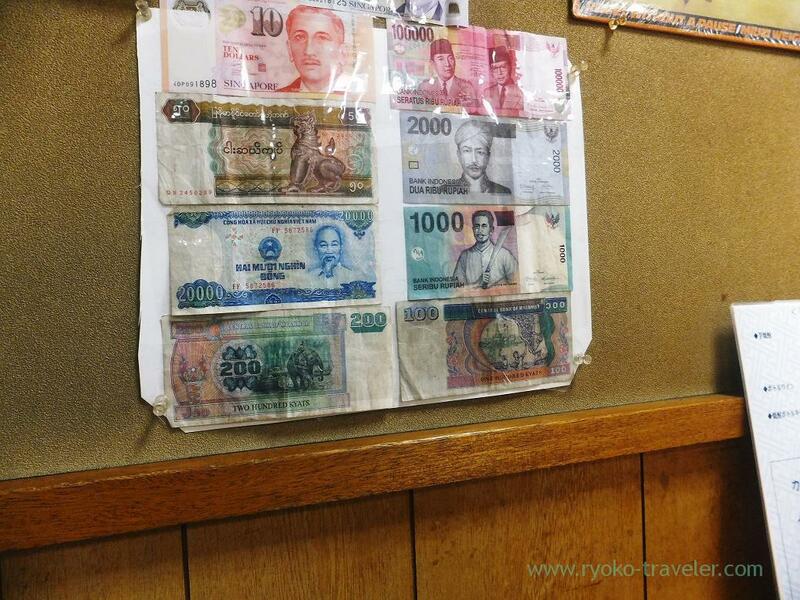 I’m also very interested in foreign bills and coins (Though I don’t know much). It’s fun ! I tried eating karaage, but to my sad, karaage was already sold out. 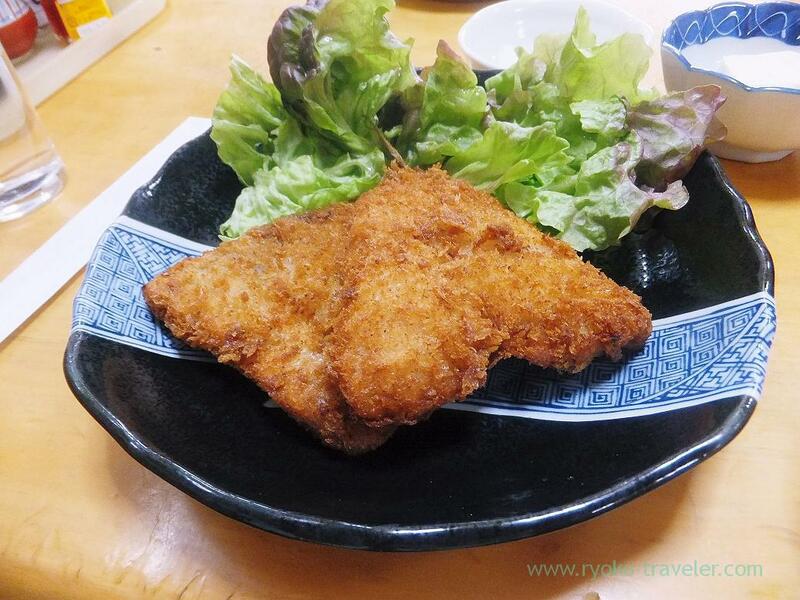 Usually horse mackerel fry costs 800 yen at least. So I didn’t expect that their horse mackerel fry is so good. Its bread‐crumb coating was light and crispy. 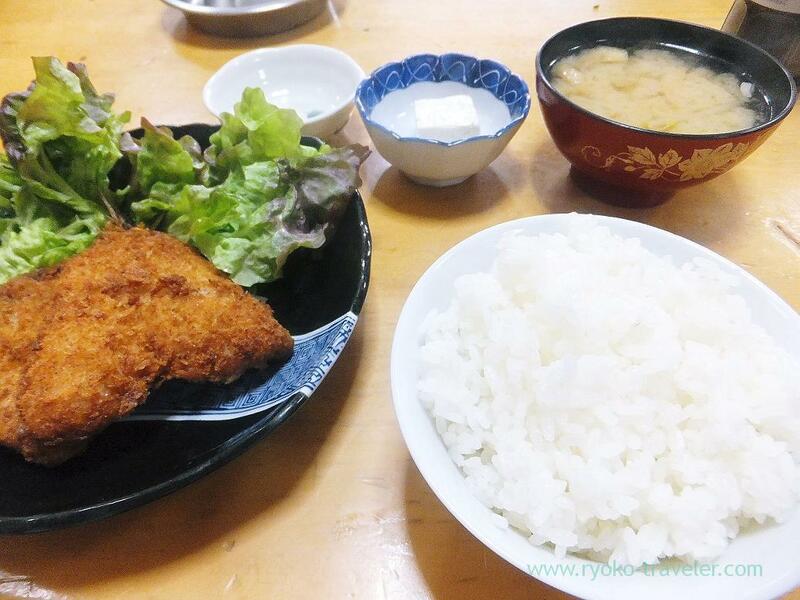 Though the horse mackerel had a little fish smell for me that I often eat horse mackerel fry at Tsukiji,its meat was fat and tasty. All right. But I want to eat karaage next time ! Buta shogayaki wa boku no ichiban suki na nihonryori no hitotsu dakedo, kore no kawari ni karaage (shinsen na shibori remon to) ni shitai! I can’t type in Japanese on this computer! niku no ryouri ga suki nandesuka ? I think you also can’t see Japanese on your computer, so I tried to type in Romanized Japanese.